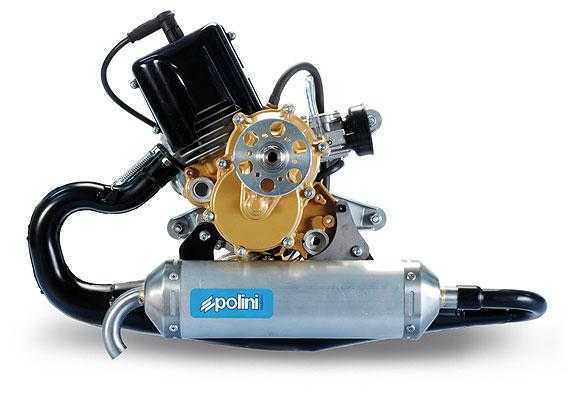 After 40 years producing engines for scooters and minibikes, Italian company Polini have turned their sights to paramotoring. The fruit of their labors is the Thor motor: A 130 cc 2-stroke engine, it was designed to be as compact and lightweight as possible, with a great power-to-weight ratio and “best and constant performance at every RPM”. 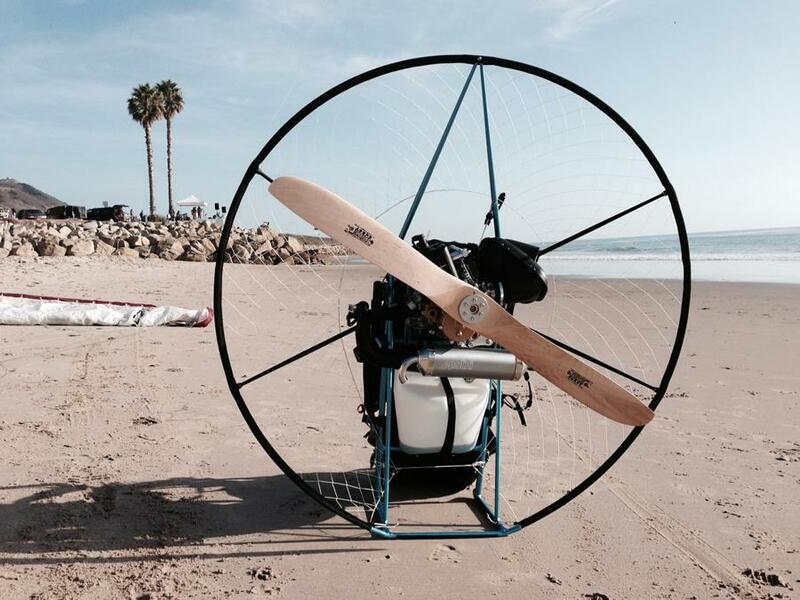 Polini Racing Motori, a famous Italian manufacturer of racing engines, enters the Powered Paragliding market in 2010 with the Polini Thor 100. This engine features advanced technical solutions. 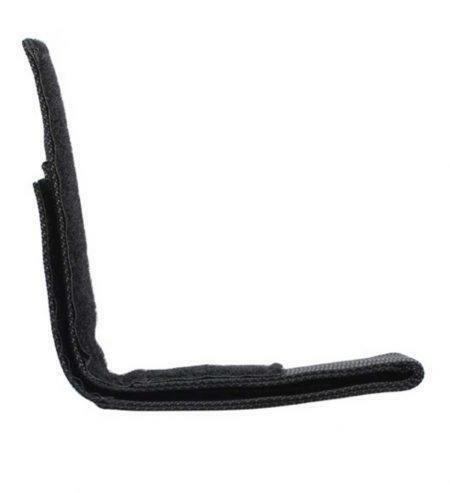 It was projected to achieve the best weight-power ratio but, at the same time, to optimize the thermal and moving parts functions. The cooling system was studied with great care and Polini opted for the forced air. The transmission group includes the clutch in oil bath with maximum stability. 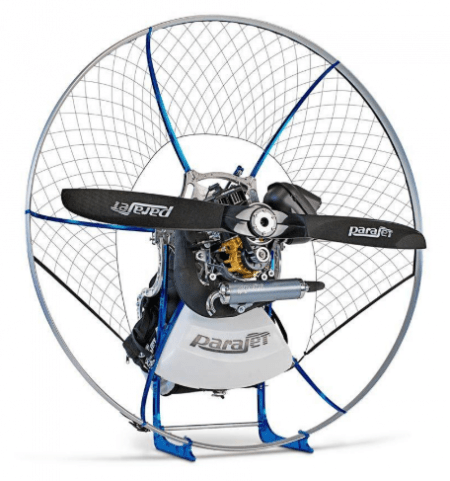 The unceasing research, the constant development, together with the experience acquired during the races, set up THOR, the new 2 stroke paramotor engine proper for the Powered Paragliding. 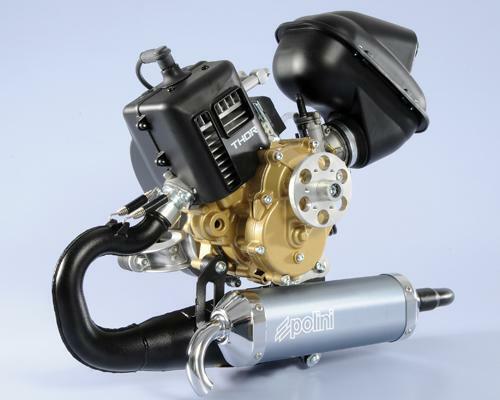 The project was born from the studies and the planning skills of the R&D’s technicians who were able to find out the possibility to manufacture a compact and light 2 stroke engine. 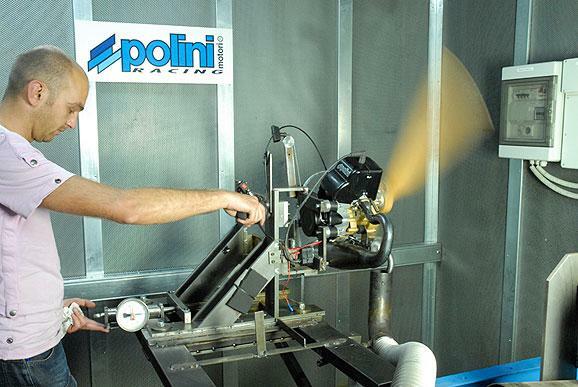 Afterward, the developments and the perfect set up were possible thanks to the testing technologies and to the test benches available at Polini together with the know-how acquired during many years of experience in the racing world. At the end of the assembly line, the engine is always tested on the test bench at the fly conditions with the propeller mounted: they calibrate the carburation and after a running-in cycle Polini measures the maximum thrust value provided by the propeller. The thrust value must respect a short tolerance range to pass the final inspection and it must be able to grant a high-performance constancy between all the engines produced. This test bench was developed expressly for this engine. 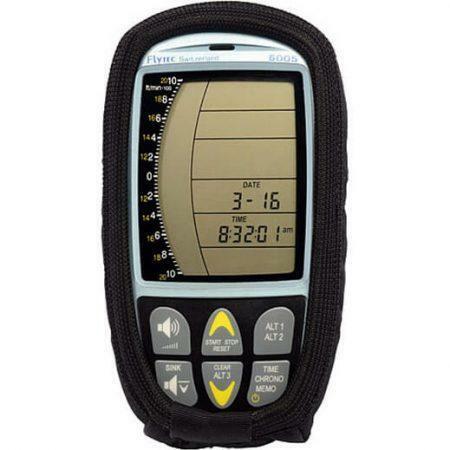 Through a charged cell with digital visualizer together with a digital revolution indicator, we can measure the thrust at every rpm. 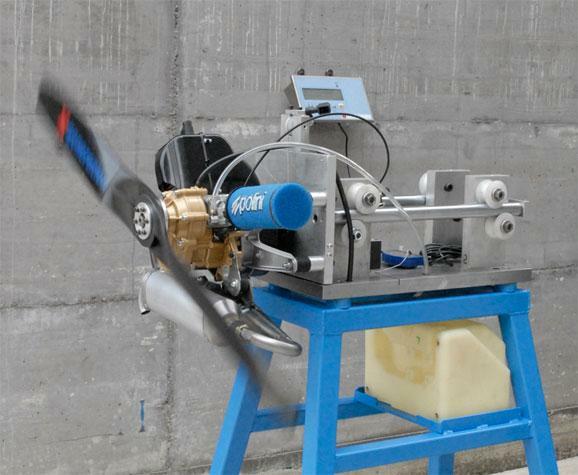 In this way, Polini can test different propellers to achieve the best thrust and the most performing propeller. • Power -20.5 HP a 8900 R.P.M. 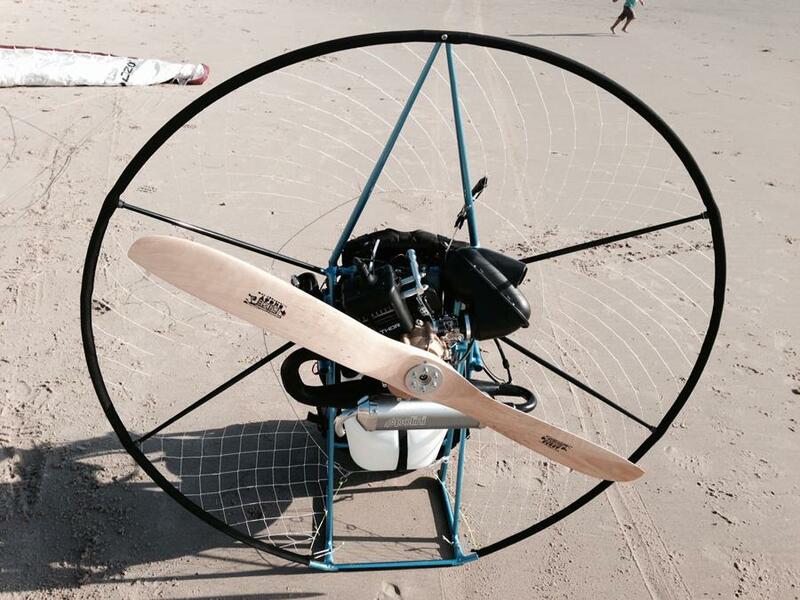 • Static thrust with the 130cm prop – 64 Kg. • Engine weight -11.8 Kg.